"Own the throne." 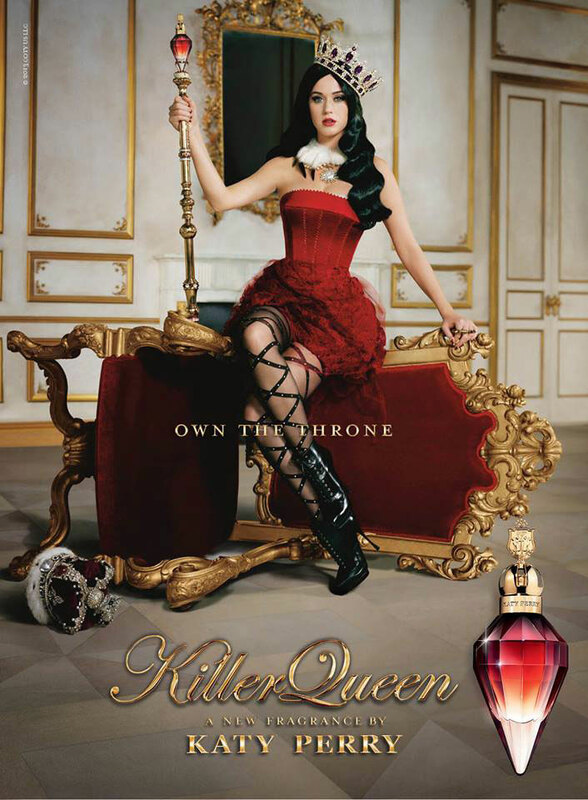 Katy Perry Killer Queen perfume, a floral gourmand fragrance for women is "intoxicating and charmingly playful" and launched August 2013 under a new license with Coty. 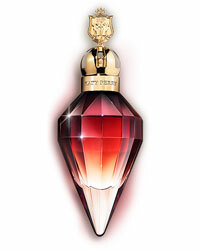 Coty also acquired fragrance license from Gigantic Parfums for Katy's first two fragrances Purr and Meow. 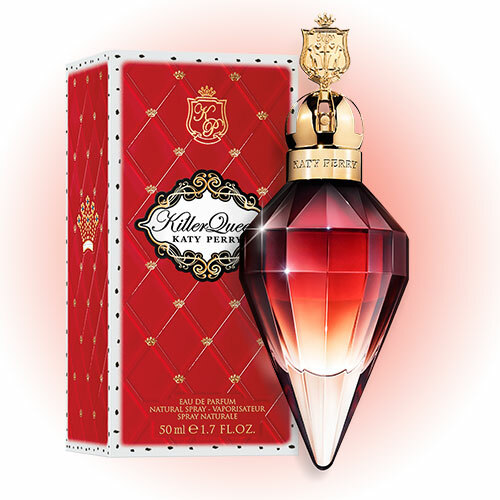 Perry's new Killer Queen fragrance, in it's jewel-shaped bottle is available in Eau de Parfum spray and matching body products at ULTA. 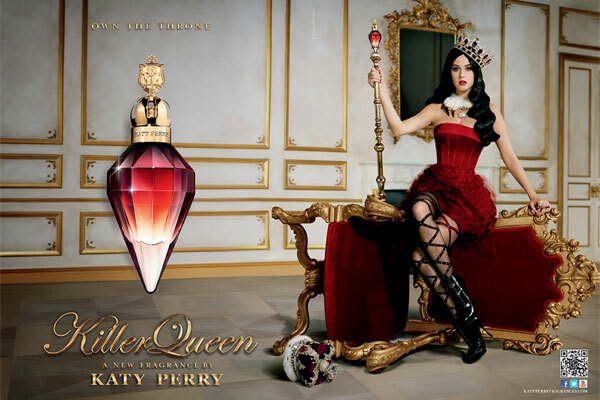 Introducing Katy Perry's new regal scent Killer Queen, an intoxicating and charmingly playful mix of luscious notes fit for royalty. Own the throne in an intoxicatingly and charmingly playful scent fit for royalty.